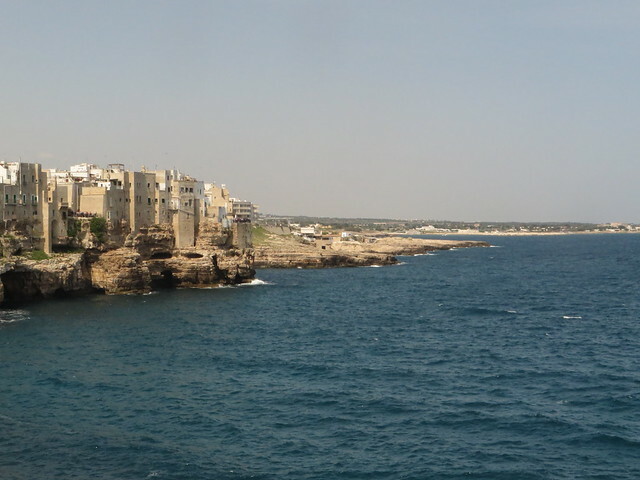 If in Bari and you’re in search of a more quiet and relaxed sea side town, try Polignano a Mare. Only one hour by train away, you will get small streets with white houses surrounded by flowers, a lovely white pebbles beach and proper summer vibes. Polignano a Mare is a town on the southern Adriatic Coast in Italy and we decided to pay it a visit during our stay in Bari. Although it was only beginning of May and the official summer season was not open yet, this place had all it needed to make us feel in the mood for a vacation at the seaside. I would say that it was even better than the summer months, as it seems that in July and August the place gets extremely crowded and it looses all its charm. I find it always better to check a new place out when it’s outside of its touristic season. 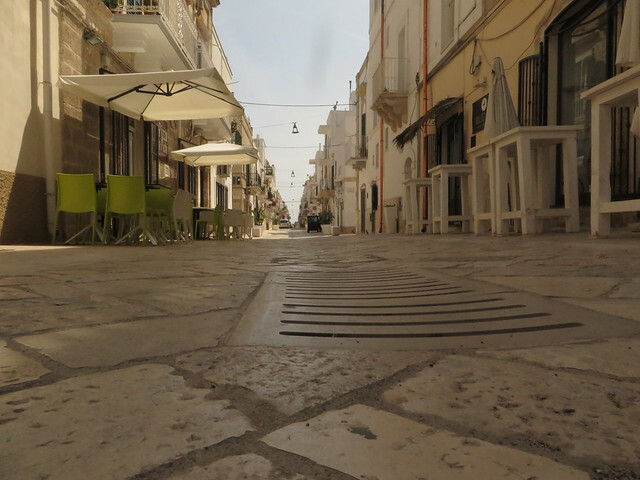 A couple of hours is more than enough for wondering on Polignano A Mare’s streets. 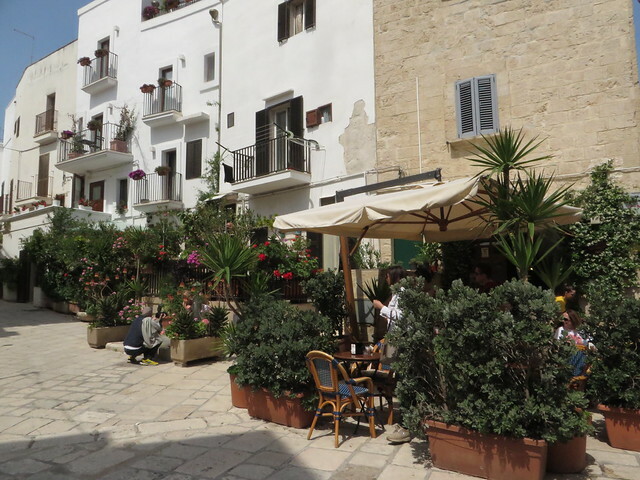 You will be welcomed by white houses, with colorful flowers, by small boutiques, by local artisans, by all that summer, sunny vibe, with refreshing drinks and gelato. 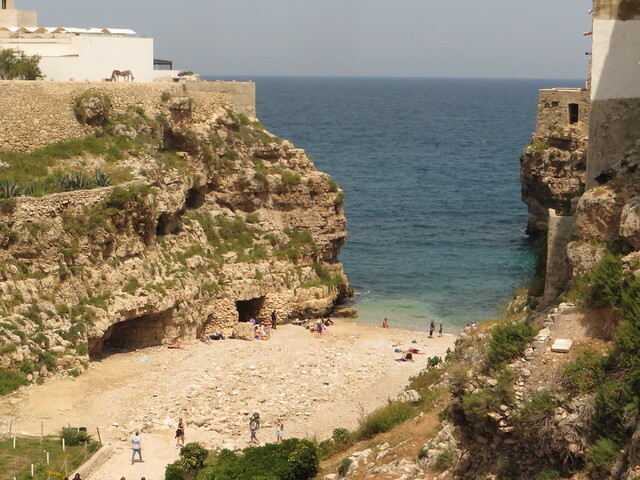 As for the beach – Polignano a Mare has a tiny one right in the center of the town, called Lama Monachile Beach. With crystal clear waters and a very nice view. 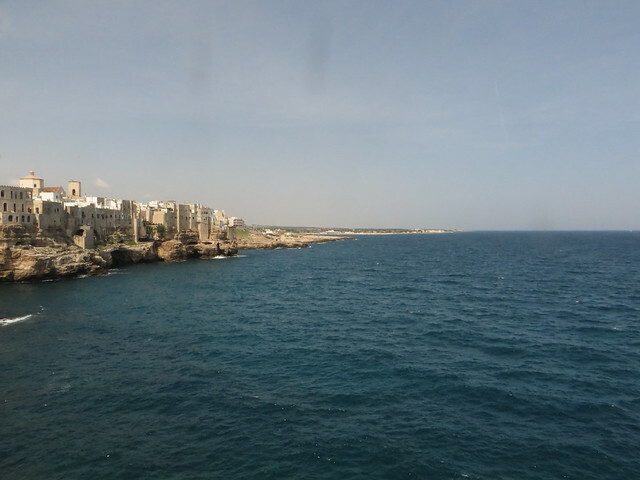 For a panoramic view, have a walk around the Punto Panoramico Largo Ardito. 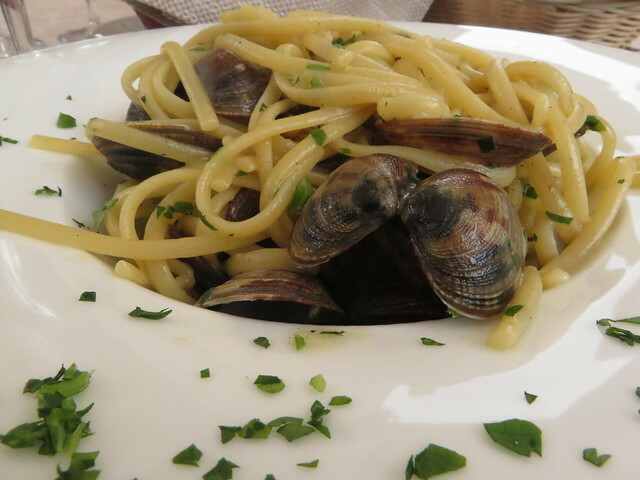 As for the restaurants, you’ll see them everywhere, with lots of sea food and clasical Italian pizza and pasta. 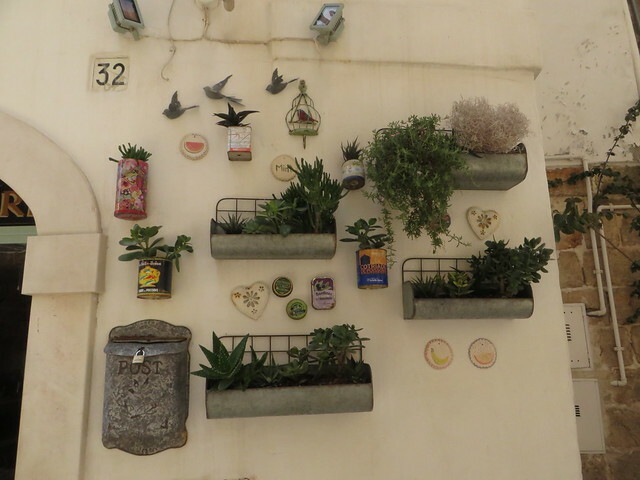 We went out a bit of the town center and found a very nice place, called Ristorante Villa Degli Aranci, with a beautiful summer garden and a very tasty menu, with fresh sea food and delicious pasta.